If you are a cold weather vacation lover this is winter wonderland like you’ve never seen before. Far away in Lapland- the northernmost past of Finland- is landscape beautiful and cold, you’ve most likely only ever seen it on Pinterest. Pristine snow, frosty conifers and of course, the stunning Northern Lights that are visible at night characterize the dramatic location. But you know what else is really cool about Lapland? Igloos. 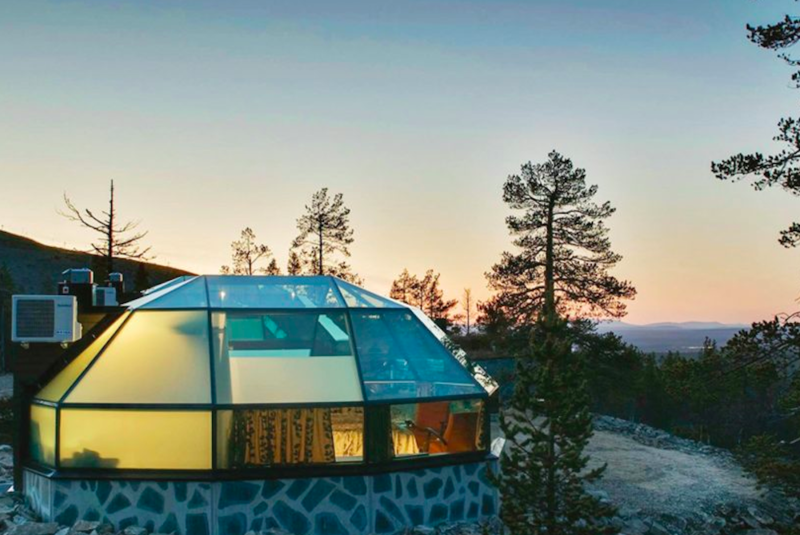 But we’re not talking about the dome style structures made of ice that are inhabited by Inuit people (even if those are cool too, because they are), we’re referring to the luxury glass micro-home style structures offered by Levin Iglut to intrepid travelers. These are far from rudimentary structures. According to the company website they “feature electrically heated non-fogging glass, air conditioning, a small kitchen, shower and toilet, a wi-fi connection and motorized beds, which you can adjust to the desired position for watching the northern lights or sleeping.” The good thing is that you can enjoy the nature environment in the most confortable bed. The igloos are situated in a prime location with unobstructed valley views and two styles are available for potential guests to choose from. 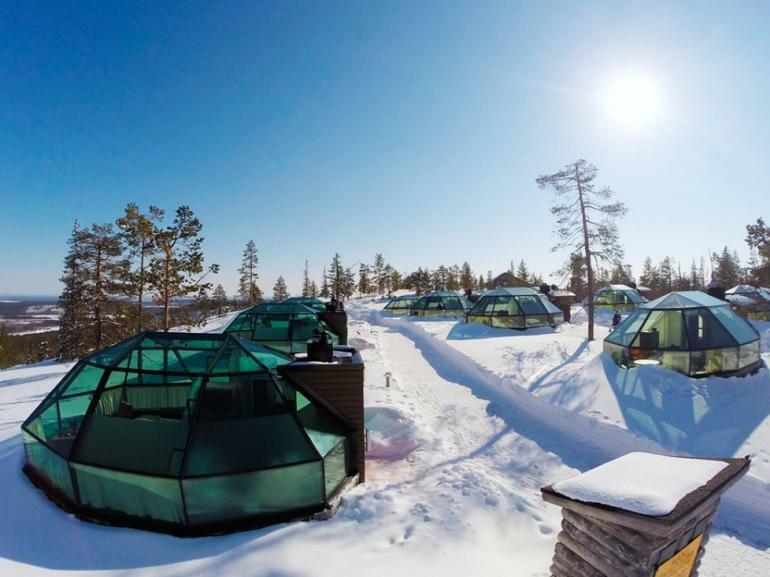 The two-person Premium igloos, and the Superior igloos the latter of which has space for an entire family, with the option of an extra bed for two children under the age of 12.